Commercial Pricing Assistant Great opportunity to influence pricing strategy for a global energy management company. Potters Bar £24k - £28k (DOE) plus great benefits Bluefire Consulting are recruiting for a Commercial Pricing Assistant to work alongside the sales team for a world leading energy management company. The organisation prides itself on developing their employees and in the Commercial Pricing Assistant role you will be encouraged to be innovative when finding solutions for clients. Great opportunity to influence pricing strategy for a global energy management company. 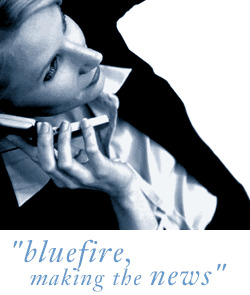 Bluefire Consulting are recruiting for a Commercial Pricing Assistant to work alongside the sales team for a world leading energy management company. The organisation prides itself on developing their employees and in the Commercial Pricing Assistant role you will be encouraged to be innovative when finding solutions for clients. The Commercial Pricing Assistant position will involve you assessing client's requirements, current market factors and business strategy to develop competitive pricing structures. As a successful Commercial Pricing Assistant you must have previous experience in a pricing structure to pricing analyst role, ideally with a background selling into retail organisations, wholesalers or distributors. You will need to be familiar liaising with a sales team and understand how to structure commercially viable pricing deals. Alongside this you need to be highly numerate with strong analytical skills and the ability to communicate your ideas and strategy to both the sales team and senior management.